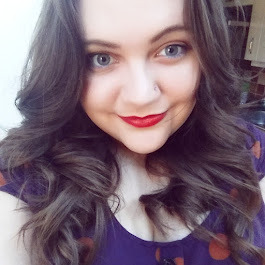 My monthly dose of beauty newbies arrived today in the form of the You Beauty Discovery Box! The March box is a lovely, spring ready box and you could choose from lots of "Best of British" goodies this month all chosen to make sure that your skin and hair is looking and feeling refreshed and ready for some sunshine. Like I've mentioned before, one of the things I love about this box is that it is made up from a mix of pre-chosen products and two that you choose yourself from the You Beauty short list. The first of the products all members got to try this month are sachets of Dragon Fly tea in various flavours. I got Swirling Mist which is a light and delicate white tea and Cape Malay Chai which is an organic spiced rooibos that smells beautiful. I'm not exactly a big tea fan but I'm always happy to give new blends a try so I'm looking forward to trying these. The other pre-chosen product was one of three possibles from The Vintage Cosmetics Company, a brand that is great quality but I am a little sick of due to its presence in almost every beauty box out there nearly every month... I got a pair of tweezers which I'm pleased about as the other options would have been toe separators or false lashes and at least these I can pop in my handbag for any brow related emergencies. When it came to choosing my two products this month it was a tough choice, there were some great products to pick from coming from brands including Dr Lipp, Paul Mitchell and The Body Shop but in the end I went for the Inner Strength bath and shower oil from Aromatherapy Associates and the Beauty Lab Glyco Wash.
Having reviewed a product from Aromatherapy Associates in the lead up to Christmas and falling in love with the...somewhat pricey...brand I jumped at the chance to try this blend of clary sage, frankincense and cardamom which is designed to leave skin feeling beautiful and your mind revitalised and uplifted. 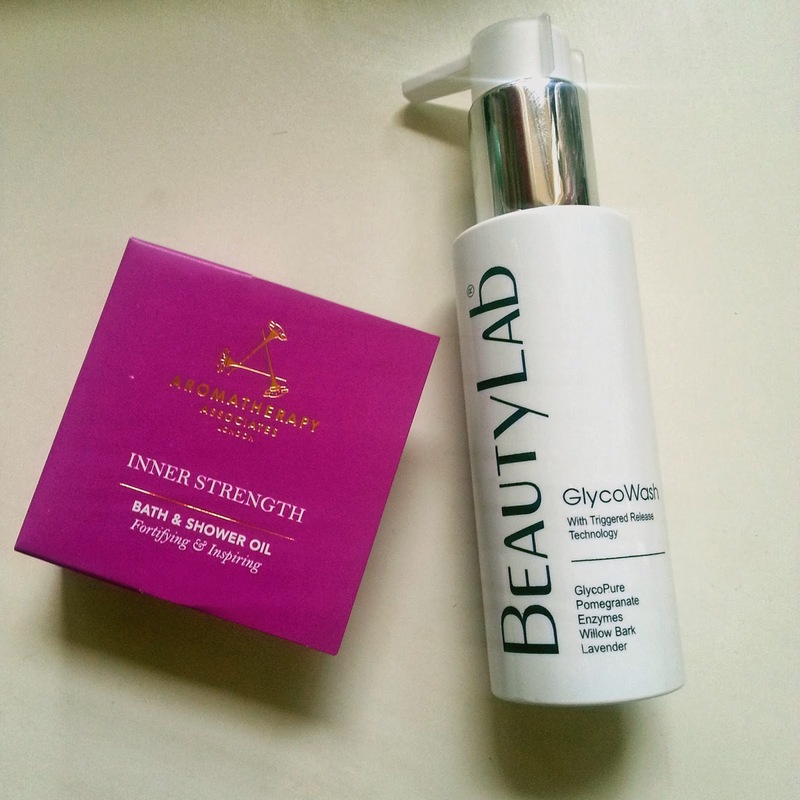 Beauty Lab is a brand that I've heard some great reviews of from other bloggers and as I'm all about loving my skin at the moment I thought the Glyco Wash seemed worth a try. The multifunctional wash is designed to increase cell renewal, unclog pores and wash away all impurities resulting in radiant, youthful looking skin. I'll be giving this one a full review after a couple of weeks use. Over all, this is another month of being very happy with the You Beauty Discovery box and it remains the only box I subscribe to. For £6.95 including postage I just can't fault it. I just got my first box this month and so far I love it. Because it's so cheap it's great and just a really fun thing to get in the post.